Red Bull Air Race Challenge! Yep - got one. I think Stefan posted these to the profile posts instead of PMs - so you can see them on the profile posts thread under what's new. Emailed Stefan back and they want to do video content on the entries and displaying entries at the Red Bull Air Race event which means shipping the planes. I don't have a problem with this except I already started stripping the original for the next build. wow, guess i got more work to do. in hindsight, should have known better. thankfully i can laser cut a new one in minutes, graphics aren't a prob, 3D printer just went into overdrive, and now time to strip the old one. guess i won't be walking away so soon. Damn! That'll be costly all the way from New Zealand........and back!! and we did a great job!. We have proof of flight and a plane that is still flying well. In fact, going to put three more flights on it tomorrow.Its all about having a positive attitude. Before getting too far ahead, this was something they were thinking of doing - I was not sure from the email whether they absolutely need us to do this or not particularly as it will require a rebuild on my part (which I am willing to do but it will take some time), so I am waiting for a further response from Stefan. Did you guys get the email about shipping? Dang - need to get one of those! i responded late today here in AZ so i don't expect anything until tomorrow. i'm excited for all of us, can't wait to hear more. i do have video and pics of my flight and will update, printer has completed control horns and is currently printing the skids. that will be done by the time i wake up, then the canopy will start printing. once done, the motor box. i may be able to salvage the old one, but plan on printing just incase. all 3d parts should be done by tomorrow night. graphics will be printed tomorrow, then i will hopefully be able to laser cut several foam board kits. looking at my "crashed" proto3. the only thing that died when i nosed it into the ground was the spinner. seems HK deosn thave them stocked in the USA, so not sure i will pull that off in time...Dave, got one? the rest can be salvaged and will be read to fly. Jason, I have two in transit from Hong Kong.. They may have already arrived. If not I will send you the one from prototype #2. I will know by tomorrow am. If its just for looks the fastest thing to do would be to go down to Hobby Town on Speedway and buy a 2" Dubro Red spinner. Too busy packing up planes? Yep. I live in Perth Western Australia which is pretty much the other side of the world from Ohio so its been interesting trying to figure out how to pack it all up. Finding a box big enough was also a challenge but fortunately a flying buddy hadn't thrown away the box from his last purchase so I will pick that up tomorrow after flying. I really hope it gets there intact. I've only just found this forum page....I'm the Riddle guy. First off, all of these builds have been absolutely awesome! Mine definitely doesn't compare. Between my excitement for the competition and preparing for the school year, I've only just realized this morning that part of the requirements was to have a Red Bull theme. Doh! Oh well, well done all! Yep...working on getting mine all packed up. Going down to the UPS store this am. At least I am shipping mine state side.,lol.. So sounds like you guys got the same message - they want them shipped and preferably in operational condition. So I am going to be a little behind because I need to build her again. @shhhhh! - UPS is the best option for shipping? 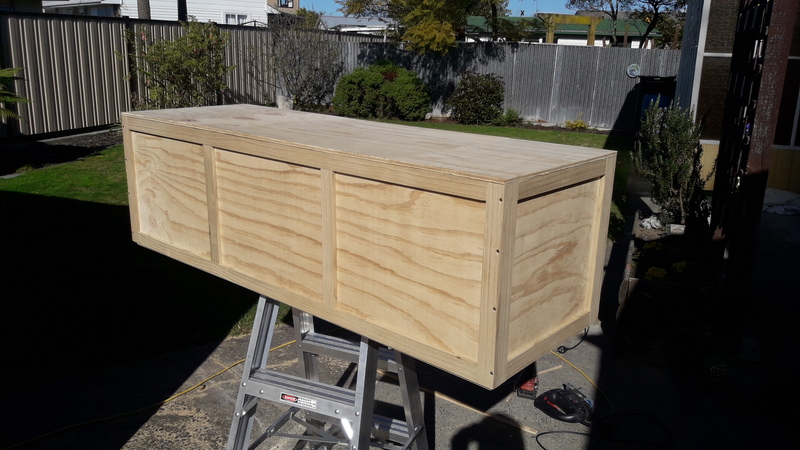 Are you making a custom box or using a standard size? I am checking UPS and FedEx. I will have them build the box,if they do that..
My plane is totally operational. I am even going to ship out my TX if they so desire. Then it is truly plug and play. That way they don't have to start over with the trimming, etc....because that first flight is usually the most challenging. Cool. Let me know what kind of quotes you get. Did Stefan say they were definitely going to fly them? 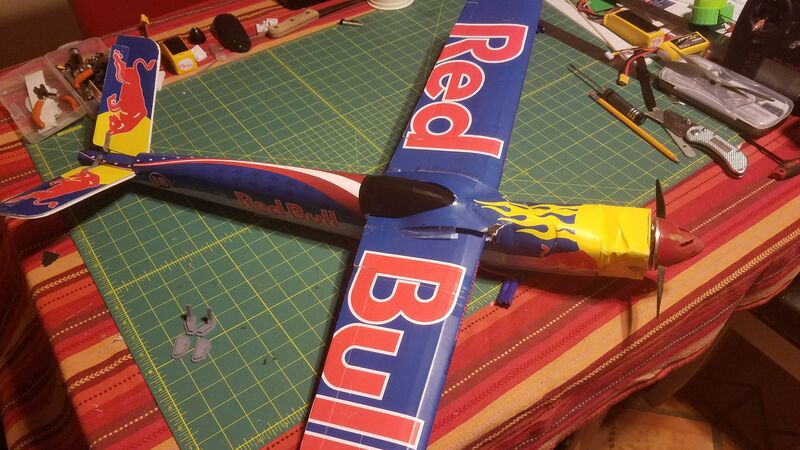 In that case I will have to maiden the new build first and if the Red Bull curse is still in effect .....! I'll admit, I'm feeling a little under pressure on this.